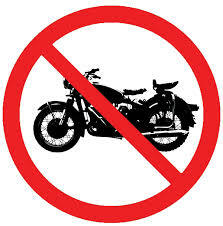 "No Colors" Controversy Rearing It's Ugly Head Again | Hupy and Abraham, S.C.
Every now and then an event promoter or bar owner is enticed to take the undesireable step of posting "No Colors" signs in an attempt to avert problems among motorcycle clubs. The latest incident in Wisconsin involves the Quaker Steak N Lube Bike Nights in Middleton, Wisconsin. Recently, a veterans group was the center of controversy in a successful lawsuit against the Florida State Fair. Hupy and Abraham, S.C. has dealt with this problem head-on, assisting riders turned away from Dibbo's Bar in Hudson, Wisconsin, and club members being denied access to Summerfest grounds and a community festival in Dwight, Illinois. Our firm won a lawsuit against Summerfest, ensuring that any motorcycle club would be allowed entry onto the grounds for festivals and the Harley-Davidson 100th Anniversary. In the Dwight, Illinois incident, Attorney Michael Hupy traveled to Dwight and talked to the City Council and the Police Chief when no other law firms would get involved. After assurances that there would be no problems, the Harvest Festival proceeded in Dwight and riders and club members were welcomed. The Quaker Steak problem seems to stem from some isolated incidents involving some club members, but to ban all clubs or even other members of the club accused of causing some trouble is not the way to handle these situations. Banning motorcycle attire creates bad feelings, prompts boycotts and interferes with fund raising for charities and other causes. Sometimes the seemingly simple solution is a problem of different color. It can be construed by some that bikes are not welcome. Fortunately, the weekly bike nights are coming to an end and hopefully, a better solution can be found before next year. A similar situation occurred at the Quaker Steak in New Berlin, Wisconsin earlier this summer and ABATE of Wisconsin was able to persuade Quaker Steak there to remove the "No Colors" signs. There were no further incidents in New Berlin.